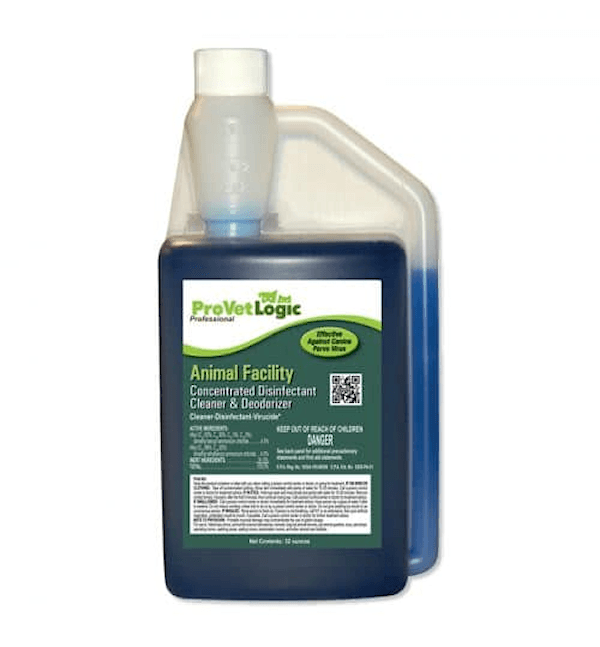 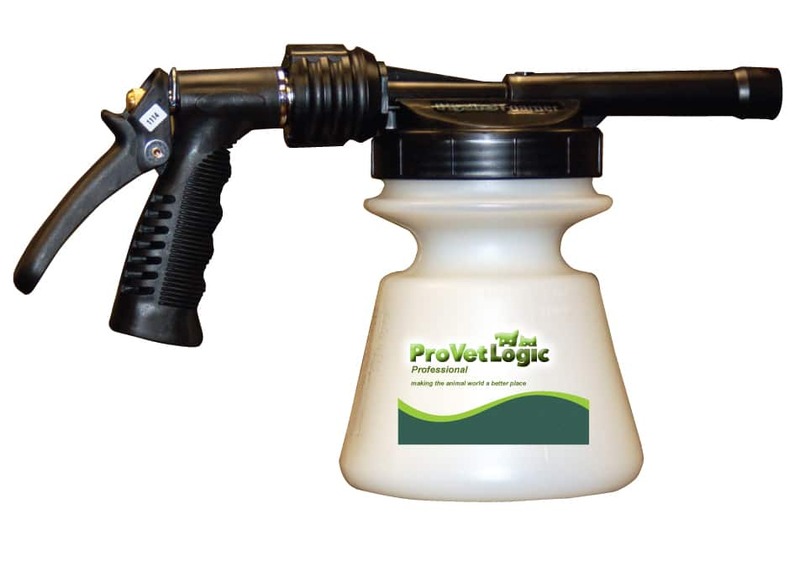 ProVetLogic Animal Facility Animal Disinfectant Cleaner provides over 50 infectious agent kill claims including Canine Parvovirus, Kennel Cough, Canine Influenza, Canine Distemper, Feline Calicivirus, Feline Panleukopenia, MRSA, Ringworm, Salmonella, E-Coli, Avian Influenza, and more. 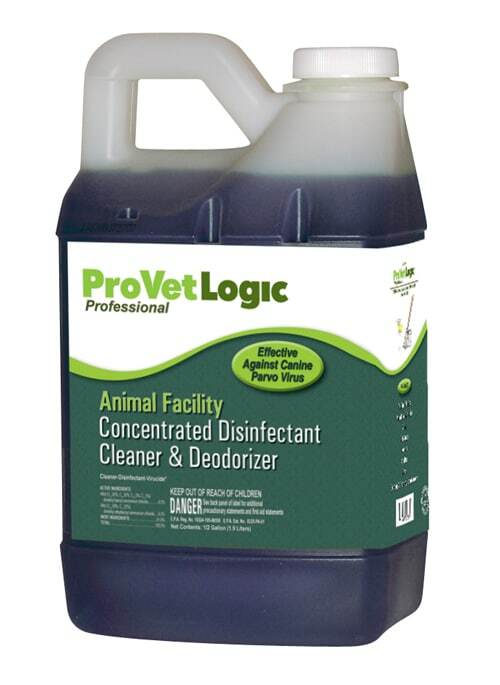 ProVetLogic Animal Facility AcuPro Animal Disinfectant cleaner provides over 50 infectious agent kill claims including Canine Parvovirus, Kennel Cough, Canine Influenza, Canine Distemper, Feline Calicivirus, Feline Panleukopenia, MRSA, Ringworm, Salmonella, E-Coli, Avian Influenza, and more. 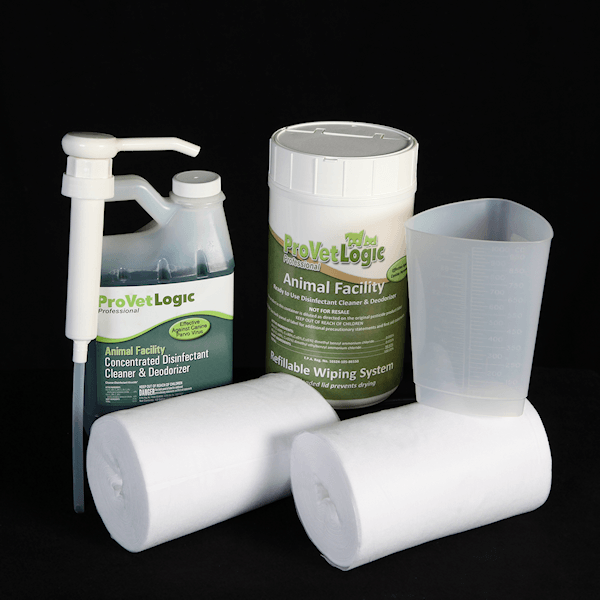 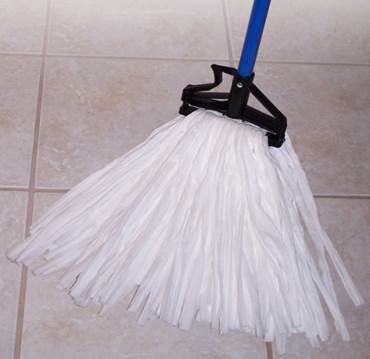 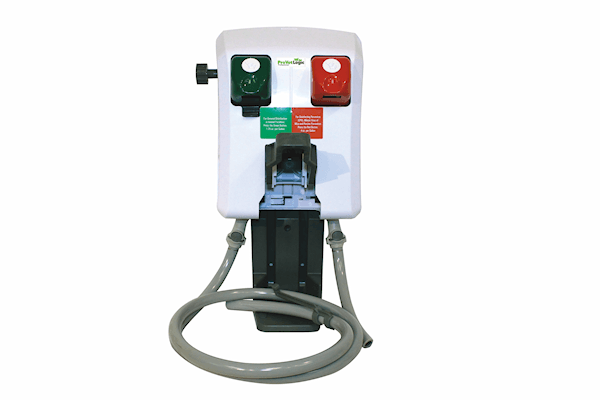 This product, SKU= V01-32MN, replaces the 64 ounce product, SKU=V01-64MN.